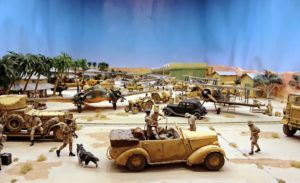 There are loads of different military model scales available but which are best to go alongside your OO gauge, Hornby, trains. 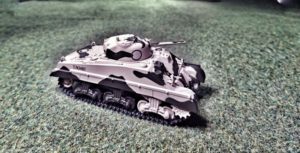 If you want to incorporate military models — tanks, planes, field artillery and soldiers — on your OO layout you may be perplexed by the huge range of different scales available. There are so many. 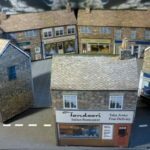 1:16, 1:32, 1:48, 1:72, 1:76, 1:87 and 1:144 are the popular ones but there are plenty of others crying out when browsing the shelves of a local model shop or Amazon. Luckily for us, Airfix makes military kits in the same scale that Hornby uses for their OO gauge trains: 1:76 scale. This shouldn’t really be a surprise as Airfix is owned by Hornby but it’s very helpful. 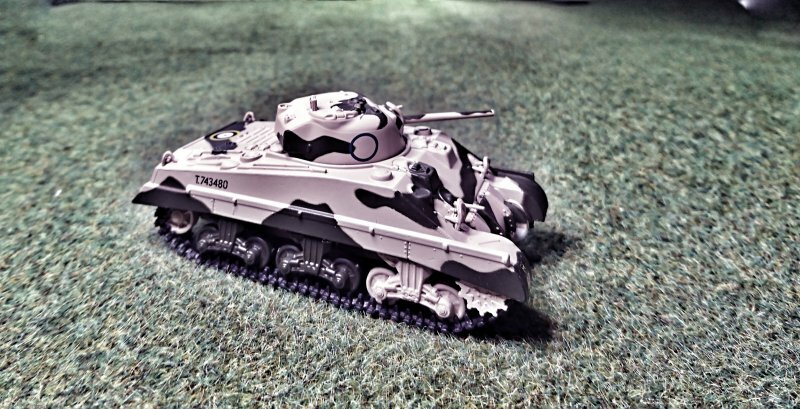 (Oxford Diecast also do a range of prebuilt military vehicles, such as the Sherman tank seen above). 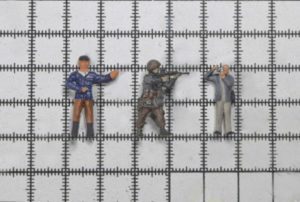 As such, if you want a military theme for your model railway (or want to incorporate a train into a 1:76 scale military diorama) it’s a straight forward. Mix and match Airfix and Oxford Diecast 1:76 models with Hornby. But there’s a but. Isn’t there always? 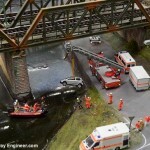 The world has moved on since Airfix made their original 1:76 scale kits. 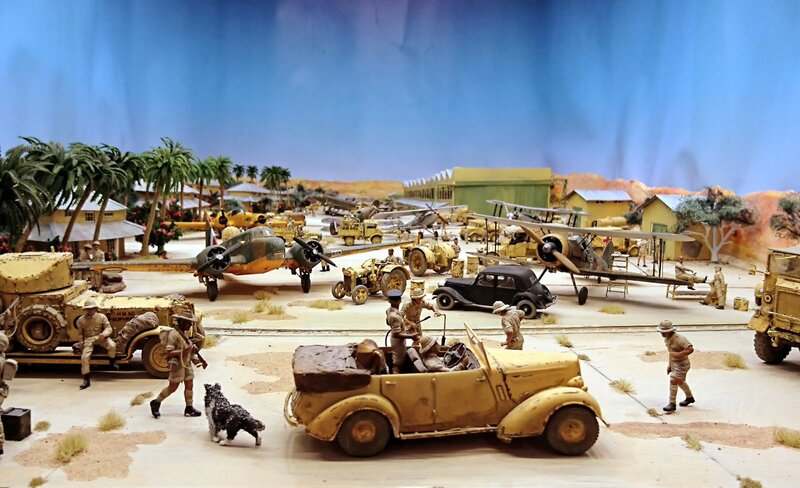 1:76 no longer a popular scale amongst military modellers and most manufacturers have switched production. Instead, 1:72 is now the A-list celeb when it comes to kits around this size and Revell, Tamiya, Italeri, Academy and other makers and even Airfix have all moved followed the trend and now release most kits in this slightly larger model size. 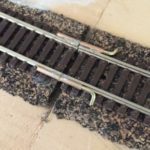 Thankfully, while 1:72 scale isn’t a perfect match for trains and railway models on an OO gauge layout it’s still close enough for most people. To the untrained eye, the difference between a 1:76 and a 1:72 scale model won’t be noticeable. And this is even more so for the figures. Model figure scales from PD Marsh, Revell and Noch in 1:76, 1:72, 1:78. The difference is marginal if any. At 4mm to the foot, an OO figure of a six-foot-tall man would be 24mm. The 3.5mm to the foot HO representation will be 21mm while in 1:72 scale, which equates to 4.23mm to the foot, the figure would be 25.38mm. You’ll need good eye-sight to spot a difference between these. Actually, I’ve found more variation in height of figures in the same scale from different manufacturers than figures in different scales from the same manufacturer. This can be seen in the three figures in photo to the left. The first is a PD Marsh OO railway figure 1:76, the middle is one of my painted Revell 1:72 modern image infantry figures and the last is a Priser HO figure (1:87 scale). To be correct for their scale, the height difference of the miniatures on the left should be reversed. I long ago, gave up believing the advertised scale sizes for figures and now buy a variety and mix and match until I’m happy with the sizes! 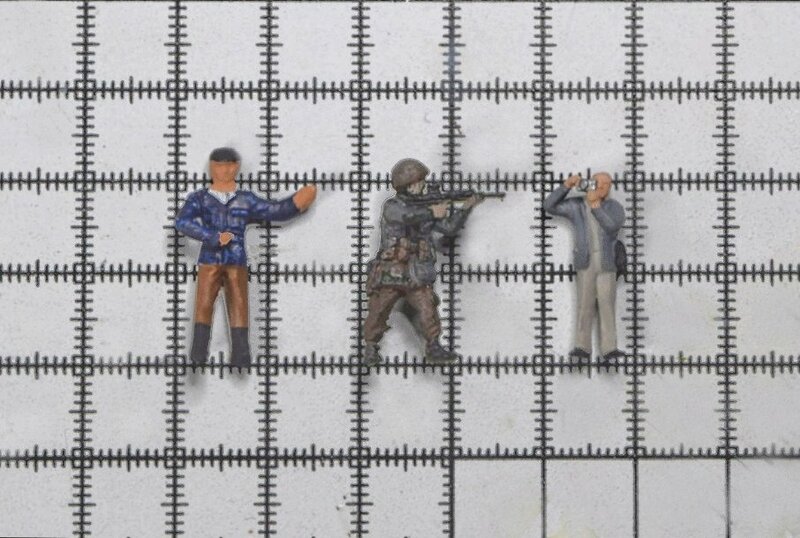 The take away is that for figures at least, 1:76/OO and 1:72 military figures are broadly interchangeable. 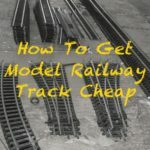 If you do want precisely correct proportions when using 1:72 models alongside 1:76 trains you can use an optical trick to disguise the difference. This is to place the OO 1:76 scale models behind and to the rear of the 1:72 models. In so doing, the eye is tricked into believing the difference is due to distance. 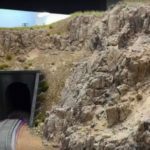 Tony Bennett’s Battle of Habbaniya model and railway diorama (built-in support of Help for Hero’s) employs exactly this visual trickery. Using a single distant focal point and models reducing in scale from front to rear aligned with the focal point fools the eye into thinking the smaller scale models at the rear are reduced due to a perceived distance not a mismatch of scale. 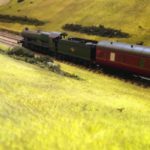 The models go from 1:32 at the front to 1:700 at the back, creating a real sense of distance despite it being only 5ft long. 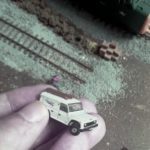 By using the same technique, you can mix 1:72 scale tanks, field guns and aircraft with OO / 1:76 scale trains in the behind and a short distance away so they’ll look correct. Give it a go and let me how you get on. 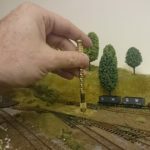 I’d love to hear about your train military layouts and diorama’s.